George Ho is a human capital management professional with experience working across the public, private and non-profit sectors. As a consultant in Deloitte's Federal Human Capital practice, he focuses on creating value for his clients in the areas of strategic change management, culture transformation, and organization design. Prior to joining Deloitte, George served as an HR practitioner at several U.S. nonprofit organizations, working in the areas of HR and operations administration, program and project management. He also founded and led Splash Technology, an entrepreneurial non-profit that increased access to technology for other non-profit organizations through simple, fair and honest leasing programs. He obtained his Bachelor of Arts degree in International Affairs from the George Washington University, with concentrations in International Economics and Environmental Resources. 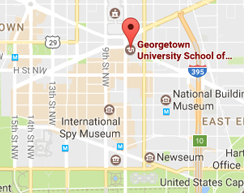 George earned his Master's degree from Georgetown University in Human Resources Management with a concentration in Strategic Human Capital Management. As an alumnus, he has served in the Program as a Graduate Teaching Assistant for MPHR 802 (Strategic Thinking in Human Resources) and MPHR 805 (Consulting Skills in Human Capital). Additionally, George is Professional in Human Resources (PHR) certified and a Society for Human Resource Management Certified Professional (SHRM-CP). George is extremely passionate about collective learning, the student classroom experience, and working with each student to unlock his or her limitless potential.